One of the big concerns that people have is that “If everyone gets a living wage, who is going to do all the dirty work?” because nobody wants to do it. 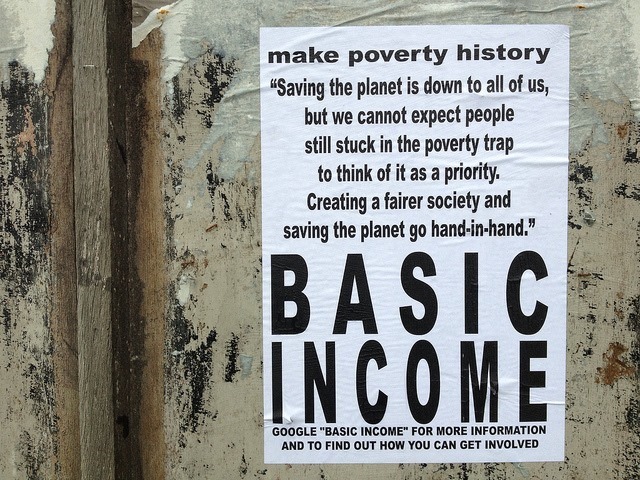 So, in a Basic Income Guaranteed approach it’s going to be vital to change the ‘living wage’ or the Basic Minimum Wage and here it is suggested that it should be at least double the Basic Income Guaranteed so that it is a motivation for people that would like to live a more extravagant or luxurious life to actually do the work – whether it is a janitor, a road worker, a gardener, a child-minder, whomsoever works – and thus does not depend on the Basic Income Guaranteed, gets a minimum wage that is double the Basic Income Guaranteed, that will ensure that there is motivation for people to do the labor and for those that would like to improve their lives, while the Basic Income Guaranteed ensures that everybody has got enough to make a decent living. So, for you that are ready to approach these issues, look at how to implement it in your particular countries, translate these proposals into your language, do blogs about it and get involved in your political parties, see which ones are willing to embrace a Basic Income Guaranteed and if they are not: start a political party, because the way forward is political. This entry was posted in Basic Income Guaranteed, Basic Needs, Birth Right, Businesses, Capital, Capitalism, Citizenship Shareholding, Dignified Living, Economic Growth, Economic Reform, Industries, Investments, Job Creation, Labor, Luxuries, Minimum Wage, Motivation, Politics, Power of Acquisition, Production, Profit, Redestribution of Wealth, Resources, Social Capitalism, Social Dividends, Sustainability, Value and tagged basic income, Basic Income Guaranteed, BIG, Businesses, capitalism, corporations, double minimum wage, economic growth, elf, equal life foundation, equality, fair society, incentive, living wage, luxuries, make poverty history, minimum wage, pricing, production, profit, reactivating economy, socialism, wealth redistribution, work motivation.